Chop the Corvina Fillets into small chunks and blend them with salt and pepper. Sauté the previously chopped leek and onion and season. Take the Corvina into a bowl and mix it with the sautéed leek and onion, the chopped boiled egg and a pinch of chopped parsley. Shape the mix into burgers and slow cook them (grilled or fried) for about 4 min per side (depending on thickness). 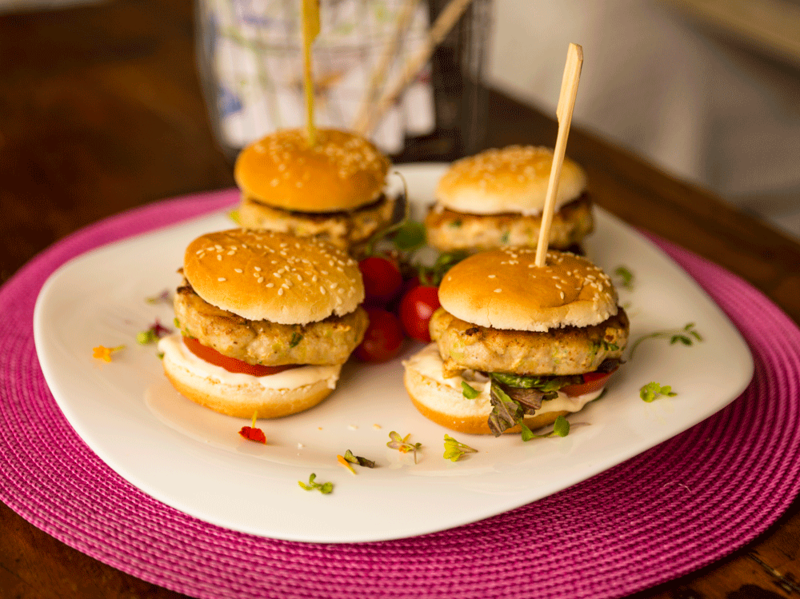 Open the buns, spread some mayonnaise, and fill them up with some tomato slices, green leaves and the Corvina burgers.